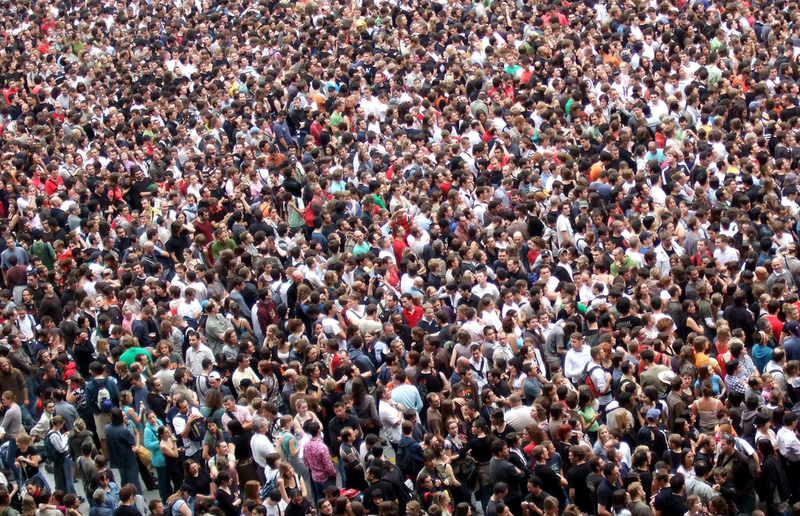 With much fanfare, estimates of the earth’s population recently surpassed 7 billion people. Population growth rates have been staggering for decades, for a number of reasons. The straightforward explanation is that global birth rates have remained high while there has been tremendous improvement in child mortality rates and life expectancy. Sewer system implementation in the 1800s helped separate waste from drinking water and cut down on the spread of cholera and typhus. Later medical advances in the form of a smallpox vaccine and Penicillin, coupled with DDT control for Malaria, helped more people live longer. As people lived longer, more reached childbearing age and had children themselves. Back in the 18th century, replacement fertility was up to six children. In order to keep population stable, women needed to have six children because most of those children never made it to adulthood. Today, the replacement ratio is 2.1 births per mother in developed markets. Population growth exploded when the birthrate remained much higher than 2.1 in tandem with improved child mortality metrics and longer life expectancy. Before the period of high population growth ends, it is likely that the global population will swell to 9 billion people by 2045. The driver of this continued population growth is the high birthrates in many relatively poor parts of the world such as Africa, the Middle East, Central America, Bangladesh, and the Philippines. Earth’s human population was very stable until the 1600s. The planet reached one billion people sometime around 1800. 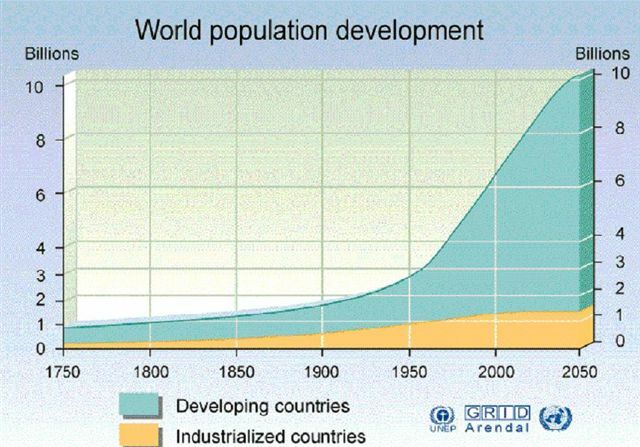 It took about 130 years to double the population to two billion, and just 44 years to double again to four billion. 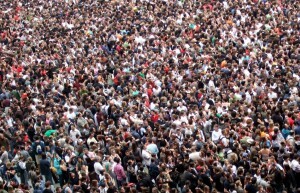 At present, each year the population is growing about 80 million. While demographic trends are well understood and change glacially, there are some important investment implications. One of the most profound is that the global economy will be impacted from new nations and emerging economies that are not well understood. Regions of the world with very large populations and emerging economic development are not well covered within the media nor are they well researched by investors. Look how disproportionate the news coverage has been on Greece, a nation of 11 million people. Ponder how often Greece has been in the news relative to nations like Nigeria or Bangladesh which are both over 13x larger. Much of the divergence in news coverage has to do with differences in economic influence. Many small population developed market nations have disproportionately strong economies and much greater global economic influence. Differences in economic sphere of influence have existed through history but the emergence of billions of people from poverty to a new class of lower income consumers is a profound shift. The demand implications for food, energy, and basic consumer goods are sweeping. While many of these themes are known, what may be underestimated is how they are set to become increasingly important. As developed market economies like Greece continue to stagnate, or even shrink, there are large population blocks from growing economies which are catching up to developed markets in terms of importance. This dynamic can easily be underappreciated by only focusing on financial market news coverage from New York, London, and Tokyo. Companies which are scalable to serve the global population will be increasingly better positioned. Each year, a greater proportion of global GDP growth will shift from the US, Europe, and Japan to newer regions with large and growing populations (exception China). Companies which provide products and services utilized by the poor and lower classes will be well positioned for growth. The opportunities will be vast within both local emerging market corporate sectors and for developed market multi-nationals. Companies with a geographically scalable business model that can grow profits while investing less capital will outperform. There will be a myriad of opportunities related to under-researched growth themes and valuation inefficiencies for lesser known regions. Many global multinationals are aware of the above dynamics and have invested in counties like Nigeria, Philippines, Vietnam, Egypt, and Turkey. The businesses are small but growing rapidly. Paying close attention to the composition of international revenues and listening to management discussion of opportunities will provide clues with regard to which companies are well positioned. Learning to identify the winners will become increasingly lucrative and an advanced skill set in this area will provide enduring investment advantages.